A healthy pet is a happy pet is a happy owner. When someone mentions Purina, what do you imagine? Pet food. Lots and lots of pet food. But behind those pebbles of nutrients is a core belief that shapes every aspect of Purina: people with pets are better together. It’s a simple idea, but Purina needed to remind the world who they really are. Let’s open the floodgates of people and pets. We teamed with agency Zeus Jones to create a film series revealing the true heart of this legacy brand through the sometimes simple and often times extraordinary narratives of people and their pets. Our story search took us to the hills of Vermont, the islands of Puget Sound and the mountains of Northern California, to capture five memorable characters. The resulting films collected over a million views online and found a national television audience. 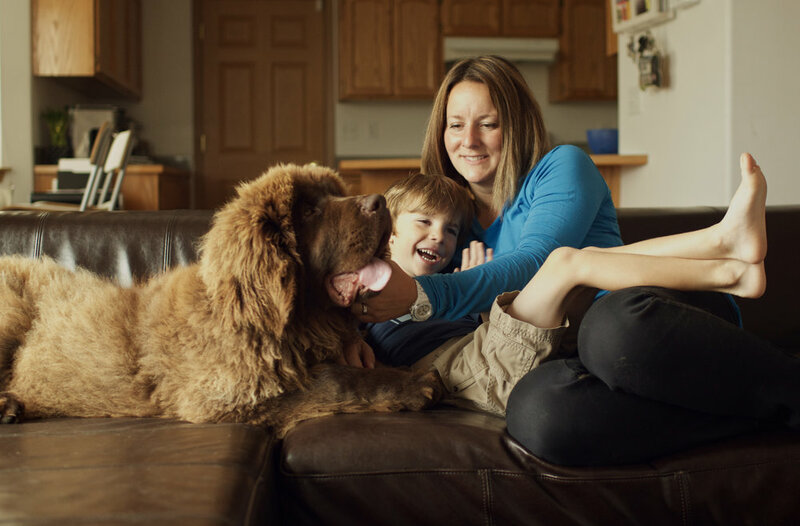 We could not have guessed that our narrative about a little boy's love for his big dog would reach tens of millions of people, first through the film and eventually through the TV Spot that aired on Thanksgiving Day during the National Dog Show.